What we do at Tank Master is pride ourself on supplying the biggest range of domestic, commercial and industrial markets with the largest range and the best prices in Perth, Western Australia and around Australia. We supply Slimline Water Tanks, Modular Water Tanks, Under Eave Tanks, Underground Water Tanks, Aquaplate Tanks, Septic Tanks and Leach Drains. Specialists in Pressure pumps, Transfer pumps, 12 Volt pumps, Petrol and Diesel pumps for all your pumping requirements. What we do is stock and supply a huge rage of filtration products including Undersink, UV, Reverse Osmosis, Water Softener, Sediment, Carbon (Taste and Odour) and replacement cartridges. Tank master also supply a wide range of Fire Fighting equipment including skid mounted units, trailer mounted units, fire fighting pumps, hose reels, fire hose and a variety of fire fighting accessories. With a massive range of products, we are able to supply stock standard and customised solutions for a wide variety of situations. What’s New at Tank Master? We have expanded our ranges in almost all areas including Rainwater Tanks, Rainwater Tank Accessories, Cartage Tanks, Diesel Cartage Tanks, Septic Tanks, Leach Drain Systems, Filtration, Pumps, Fire Fighting Equipment, Livestock Products, Garden Beds, Ponds, Pond Equipment and Aquaculture. We have also expanded into new domestic (residential), commercial and industrial areas such as Compressors, Generators, Pressure Washers, Welders, Heaters and an expansion to our petrol and diesel driven pumps. 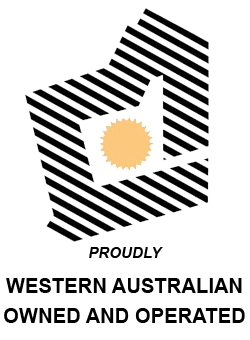 Tank Master continues to supply high quality rainwater tanks and tank accessories in Perth, Western Australia as well as expanding our range and freight network across Australia. We pride ourselves on having the Biggest Range, the Best Prices and the Largest Display of water tanks in Western Australia. The right advice is essential and at Tank Master we endeavour to give you the best solution possible. Come on in and talk to one of our friendly staff. Or contact us and we’ll get back to you. Check out the weather in your area by typing in your location on the left side of the screen then clicking the search button. Tank Master stock and supply a huge rage of filtration products including Undersink, UV, Reverse Osmosis, Water Softener, Sediment, Carbon (Taste and Odour) and replacement cartridges. Specials are always available at Tank Master. While we have a range of Rainwater Tanks, Pumps, Fire Fighting equipment and Garden Beds discounted for you.